Attorney Joel Sawyer heads iTicket.law’s Asheboro office, personally serving clients in Randolph and Montgomery Counties. 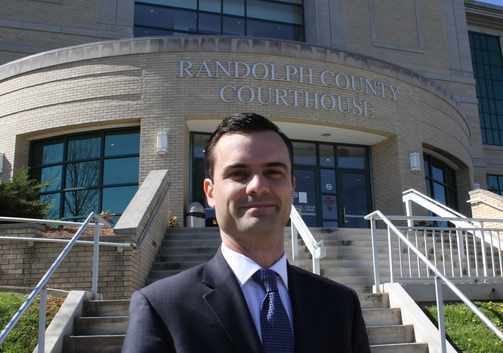 Before joining our firm, Joel served as an Assistant District Attorney and then opened his own law office in 2010. As a small town lawyer, Attorney Sawyer handles a wide variety of criminal and civil matters, ranging from seatbelt infractions to serious felony allegations, guardianship to disputes involving social services. At home, Attorney Sawyer is happily married with two small children, who he very much enjoys spending time with. His wife is a full-time nurse, but has also just started a master’s degree program. They have a pretty busy household but life couldn’t be better!